Eradication & Degaussing, or erasing the data from a physical tape, is a process that does not destroy the media itself, but only the data recorded on it. Degaussing is used on media without Servo Tracks (3480, 3490, etc.) Eradication is used on media with Servo Tracks (3592, 9940, 9840, 3590K, 3590J, LTO, etc.) The advantage of Data Eradication is that once complete, the media can be redeployed within your organization potentially saving you considerable money on buying new tapes. AES offers you many options depending upon your requirements. Our scanning software and knowledge of the tape library gives you the satisfaction of knowing that the correct data is being degaussed and an audit trail is provided giving you an accurate account of the work performed. 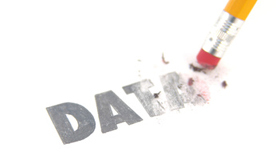 Once the degaussing is completed, you have the security of knowing your data is gone. Every asset received by AES is entered into our database, carefully audited and processed. Audit reports are generated, and Certificates of Data Destruction are issued to guarantee the services rendered. When data on Tape Media is too sensitive to allow tapes to leave the customer's data center without full eradication, AES Tier 3 is the solution. Tier 3 is on-site full data removal while preserving the servo tracks, so 3590K, 9840, 9940 and LTO media can be sold or reused. Every part of our exclusive Tier 3 program leaves the data fully eliminated, leaving the cartridges still useful. This procedure turns what is a liability, or expense to destroy, into a valuable asset. To provide the most secure off-site eradication service, our trained personnel can pull and inventory all tapes ready for eradication at your site. The media is then securely transported to our eradication facility. Upon arrival at our location, an additional audit will be conducted to verify that all the tapes have been accounted for by doing a compare to the inventory conducted at your site. The degaussing equipment utilized by AES is rated at twice the power needed to erase all the data from every tape.